Rising atmospheric concentrations of carbon dioxide are causing surface seawater pH and carbonate ion concentrations to fall in a process known as ocean acidification. To assess the likely ecological effects of ocean acidification we compared intertidal and subtidal marine communities at increasing levels of pCO2 at recently discovered volcanic seeps off the Pacific coast of Japan (34° N). 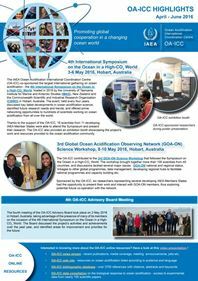 This study region is of particular interest for ocean acidification research as it has naturally low levels of surface seawater pCO2 (280–320 µatm) and is located at a transition zone between temperate and sub-tropical communities. 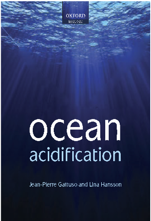 We provide the first assessment of ocean acidification effects at a biogeographic boundary. Marine communities exposed to mean levels of pCO2 predicted by 2050 experienced periods of low aragonite saturation and high dissolved inorganic carbon. These two factors combined to cause marked community shifts and a major decline in biodiversity, including the loss of key habitat-forming species, with even more extreme community changes expected by 2100. Our results provide empirical evidence that near-future levels of pCO2 shift sub-tropical ecosystems from carbonate to fleshy algal dominated systems, accompanied by biodiversity loss and major simplification of the ecosystem. Agostini S., Harvey B. P., Wada S., Kon K., Milazzo M., Inaba K. & Hall-Spencer J. M., 2018. Ocean acidification drives community shifts towards simplified non-calcified habitats in a subtropical−temperate transition zone. Scientific Reports 8: 11354. doi:10.1038/s41598-018-29251-7. Article.